Marketing Authorization Holder and Manufacturer: Abbott Laboratories, North Chicago, IL60064, U.S.A.
Trade names: Sibutramine, Reductil, Ectiva, Sibutril, Lindaxa and many others. Active medicine: Sibutramine hydrochloride monohydrate 15mg in 1 capsule. Meridia is used to treat obesity. It should be taken in conjunction with a reduced energy diet and increased exercise activity as part of a comprehensive body weight reduction program, as long as the regimens alone (ie diet and body activity) are poorly effective. Treatment should be part of a weight reduction program. 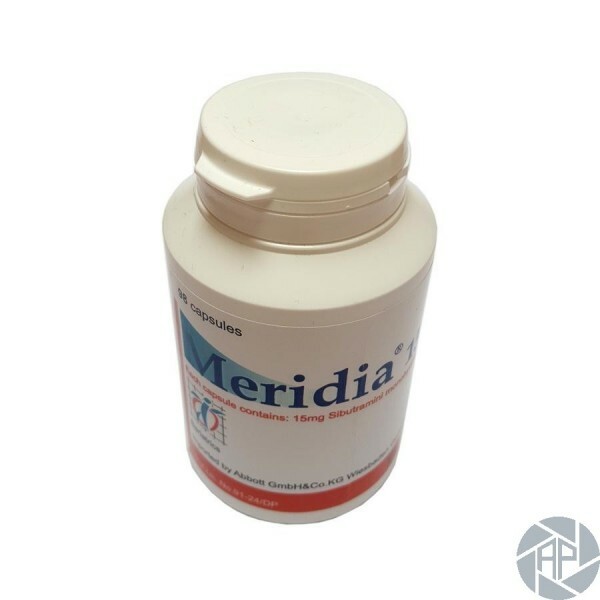 Sibutramine, the drug of Meridia, belongs to a group of medicines for the treatment of obesity, which increase the sense of saturation and simultaneously increase the energy expenditure of the organism. This team, along with diet and exercise, helps reduce the body weight of the patient. 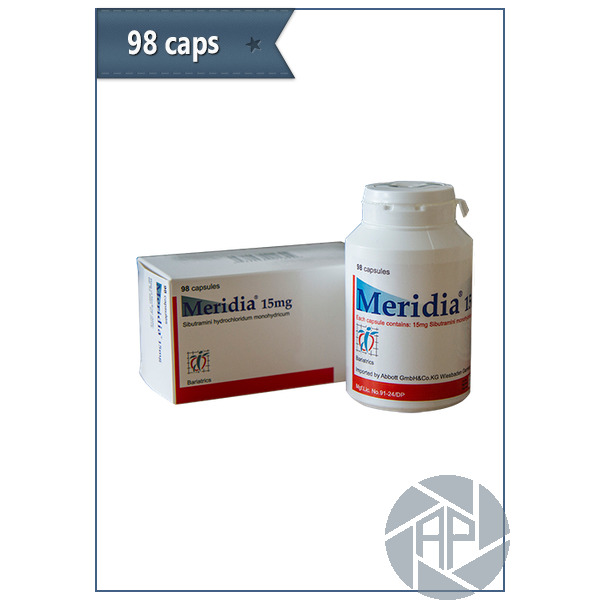 Meridia is used to treat obesity. It should be taken in conjunction with a reduced-energy diet and increased exercise activity as part of a comprehensive body weight reduction program, as long as the regimens themselves (ie diet and body activity) were not effective enough. It has no addictive or psychostimulatory effects. Treatment should be supervised by a doctor who has experience with the treatment of obesity. Weight reduction should be associated with a change in diet and eating habits and an increase in physical activity. occur mainly at the start of treatment during the first 4 weeks. Their frequency is relaxed over time. As a rule, they are not serious, do not lead to discontinuation of treatment and are transient. Side effects include increased blood pressure, heart rate, dry mouth, constipation and headache. take one capsule of Meridia 15 mg once a day with or without food and have to drink it with enough fluid.